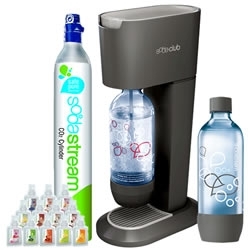 Another free blogger event this time looking for bloggers who want to join in to promote a SodaStream giveaway that will run from 7/4 through 7/26. First link is free and it can be either a Facebook or Twitter link. Second links are only $1 and can be sent to staying_younger@yahoo.com via PayPal as a gift. You must post within 12 hours of the start date and at least every other day through either your blog or Facebook. Share this giveaway (link back to this post) and get another free link (Twitter or Facebook). Sign up's close July 2nd.